In the history of jade craftsmanship, the era encompassing the Warring States period to the Han Dynasty (475 BCE-220 CE) stands out as a singular age of illusory art. Working within miniature confines, craftsmen strove to cut and polish various designs of dragons and beasts that, despite their physical immobility, could nonetheless induce dynamic illusions of motion. Via these shifting shapes, the visual senses of the viewer are ushered into a world between reality and illusion, to astonishing effect. 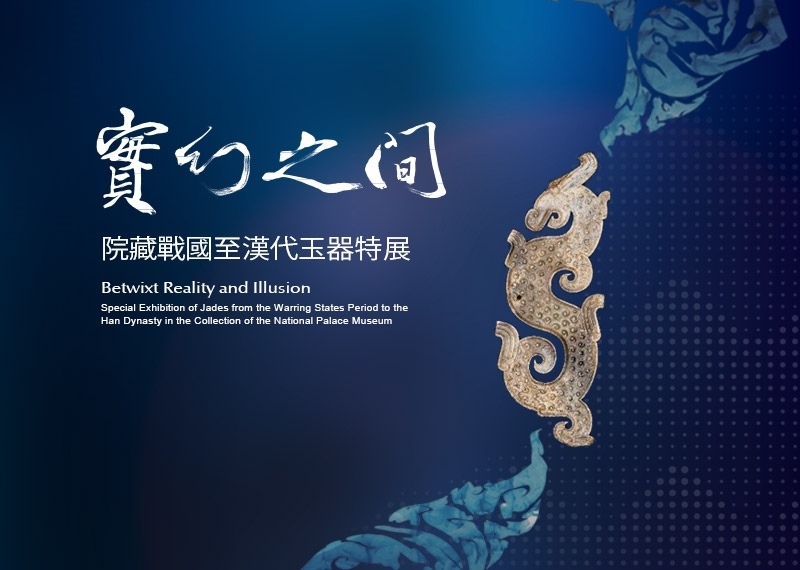 This Exhibition is therefore entitled, “Betwixt Reality and Illusion”, and through the visual changes presented, the techniques used to create jade artifacts and the visual causes behind the illusory effects experienced will be explored in depth. In this Exhibition, 212 specially selected jade artifacts from the Warring States period to the Han Dynasty are presented, including 114 works from the former collections of the Qing Court, and 98 newly acquired works. Each work is exemplary, and together, not only do these exhibits reflect the brilliant and diversified aesthetics of their time, but also present a comprehensive narrative of jade artifacts from that era. During the Warring States period to the Han Dynasty, the pursuit of dynamic illusion remained consistent in jade craftsmanship, and decorative designs maintained the same sinuous shapes, but the illusory effects of works from different ages are clearly distinct. 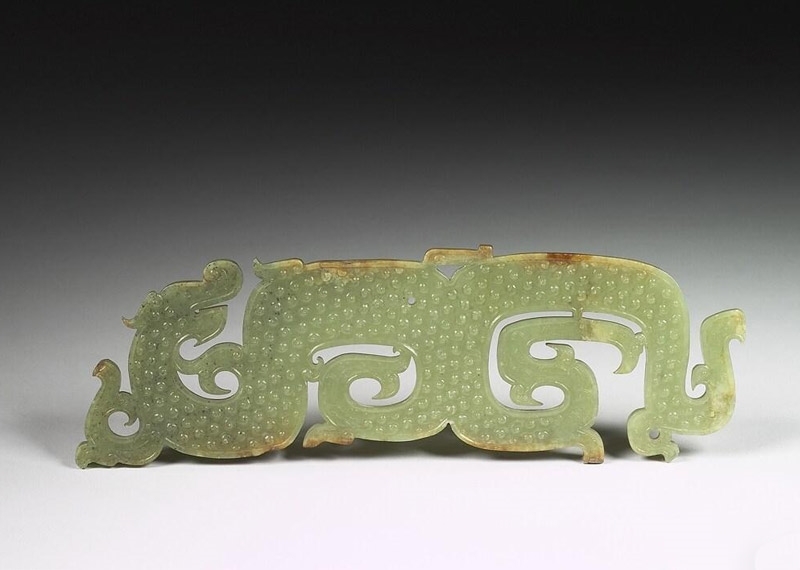 For example, jade dragons of the Warring States period were typically of a flat two-dimensional style, with misplaced legs and claws that could induce visual shifting between ambiguous states of movement and stillness, while jade beasts of the Han Dynasty were three-dimensional, with distorted bodies and varying changes in tension and slackness. To better explore these differences, this Exhibition has been further subdivided into four sections. In the first section, “The Age of Dynamic Jades”, various jade artifacts from the Warring States period to the Han Dynasty are displayed, and the ways in which their typology and styles serve to affect their visual strength, balance, and dynamism are discussed. In addition, select groups of artifacts are utilized to help viewers understand the differences between the “serpent body” and “beast body” design paradigms. In the second section, “Artistic Styles of Jades from the Warring States Period to the Han Dynasty”, through selected works, viewers will understand the preference for the “serpent” as the key design paradigm for Warring States period jades, as well as how this preference contributed to the flat, elongated style characteristic of works from this era. 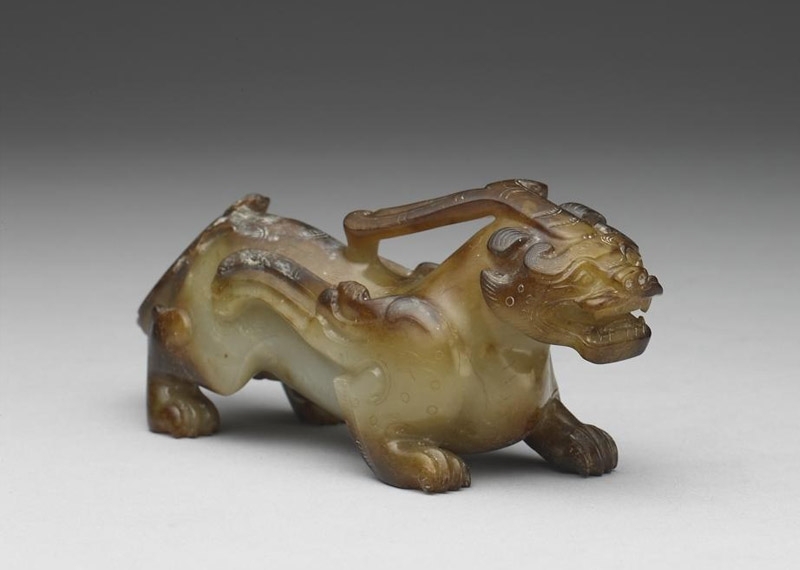 By contrast, the “beast body” was the favored design paradigm during the Han Dynasty, and therefore Han era jades are characterized by their three-dimensionality and distorted features. The third section, “Dialogue Between the Perceived World and the Physical World”, presents the idea that, with the validation of the general theory of relativity in 1919, the world as perceived through vision may be an illusion, while what is perceived to be a visual illusion may in fact be closer to reality. Thus, the distorted bodies of sacred beasts adorning Han era jades may seem to be anomalies that go against common sense, but in truth, they may more accurately reflect the reality of this physical world. Finally, the fourth section, “Mesmerizing Illusory Art”, discusses the processes by which craftsmen of the Warring States period and Han Dynasty, working under either serpent body or beast body paradigms and employing the simplest visual principles, subsequently designed and crafted their respective masterpieces. This Exhibition was planned from the perspectives of both the “Viewer” and the “Creator”, and as such, “People” comprise the central axis around which the content and exhibits revolve. Through their own eyes, viewers will be able to experience the long-forgotten illusory art of the jades on display, and re-explore the ingenuity of the original creators. Hopefully, this exercise will enable viewers to become kindred spirits of jade, transcending time and space. Several jade artifacts have also been arrayed at the end of this Exhibition, to give viewers the opportunity of evaluating the creativity of these works on their own merits. By contrast, Exhibition Hall 300 approaches the gap between “vision” and “reality” from a scientific perspective. Dr. Kokichi Sugihara, Professor Emeritus of the University of Tokyo and Specially Appointed Professor of Meiji University, has devoted a lifetime to exploring a standardized and algorithmic expression of visual illusions, and is a pioneer of modern artificial intelligence (AI). However, the fruits of Dr. Sugihara’s research are not limited to mathematical formulas, but have also been transformed into fascinating models and images. Take a moment now, and allow Dr. Sugihara’s remarkable works to lead your soul in a spellbinding windowside waltz!